Please contact owner Stephanie at 201-230-2458. 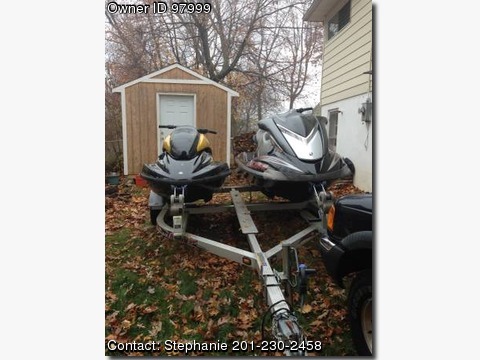 Two Yamaha Waverunners on double trailer. 55 hours on each waverunner. Excellent condition.. normal wear on each. NEVER HAVE BEEN IN SALT WATER. Covers for each waverunner as well.